Need a Home Inspection in Medford, NJ? We are the most sought after inspection company in Medford, so give us a call. Your new Medford, NJ home purchase may be the most important purchase of your life! DO NOT settle for a second rate home inspector. The inspection is the most valuable part of the pre-purchase process and your opportunity to protect yourself to your fullest ability. Homespect LLC is the most competent, professional, and diverse company in Southern NJ. 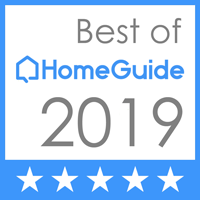 What makes Homespect LLC the BEST that the area has to offer? Your Medford, home inspector has over 28 years of experience in the residential and commercial construction industry. Your Medford home inspector is the ONLY NiFast certified Fire and Safety inspector in Southern NJ, and one of only two in all of New Jersey! Your Medford home inspector is the first in the area to be certified for Pool and Spa inspections. Your Medford home inspector is a NJ DOE approved home inspection instructor, who currently is the Director, course developer and trainer at The Home Inspection Institute LLC in Medford, NJ.